Postmaster General John Potter recognized Boneal Incorporated for delivering superior products and services to the American public during an awards presentation in Washington, DC. Boneal was one of 12 firms presented the U.S. 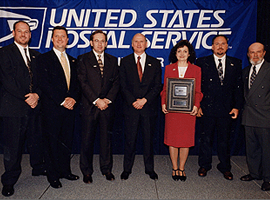 Postal Service’s Supplier Excellence Award.